I love any way of sneaking more greens into my day and these just happen to be the tastiest way of doing just that. It also feels like you’re having something with that carby-comfort food vibe - seriously these are so good, you just want to keep eating them, and the good news is you can. Since they are gluten free and made with a truckload of veggies and herbs, with a little cheese, eggs and buckwheat flour, they are pretty guilt-free. Like all my recipes, they’re quick and so easy that my 7 year old has pretty much mastered them solo. These should be jam packed with herbs - the more the merrier, and if you’re not a courgette fan, you can also use grated carrots or fried leeks too. I think these are great for lunch or dinner with a lovely leafy salad, but they work as a starter too. I like to make extra as the batter will keep for a day or 2 in the fridge, so you can whip some up quickly. I’ve been known to cook a few for a savoury breakfast too! Whisk the eggs in a big bowl with the flour until smooth. Roughly grate the courgette then with your hands/kitchen towel over the sink, literally squeeze out all of the water. 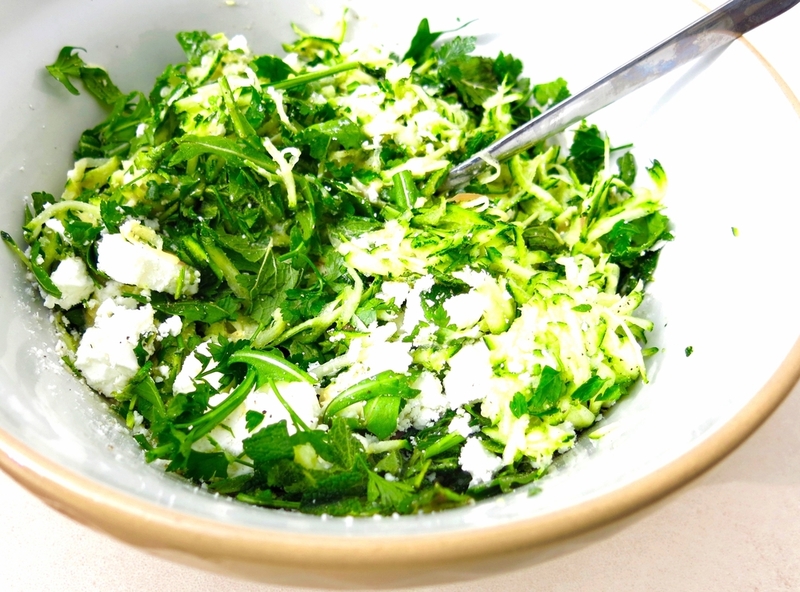 Then add the courgette to the bowl with the rocket/spinach, onion, feta, chillies (if using), fresh herbs, salt and pepper. Combine well. Heat a little oil in a heavy-based frying pan. Place 1 or 2 spoonfuls of the green mixture into the frying pan & fry for around 3 mins on each side pressing them down a little so they’re quite flat and cook until lightly brown and firm to ensure the eggs are cooked. Cook them up in batches, adding more oil if and when necessary, drain on paper towels and keep warm in the oven. 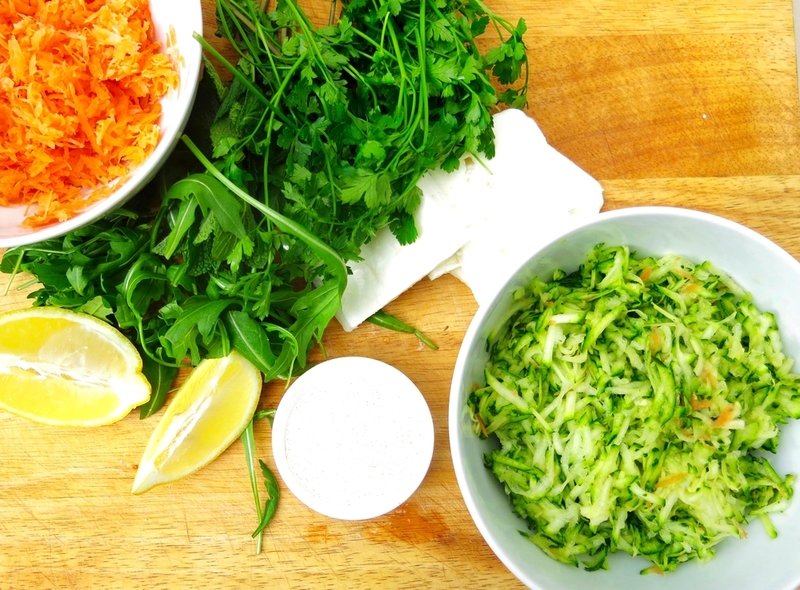 In a separate bowl, mix together the yoghurt with the garlic and smoked paprika with a squeeze of lemon.